Part of our ongoing series of free Saturday lectures! Jeremy Bentham is often portrayed as the oppressive manipulator of minds who distilled the essence of the disciplinary societies in which we still live. 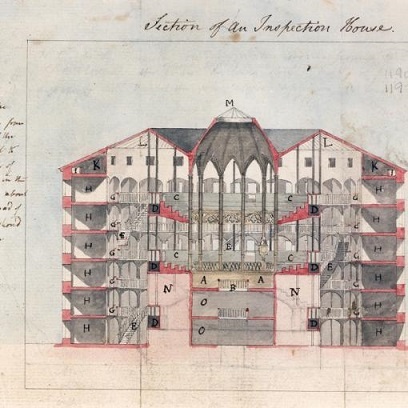 Michael Quinn of University College London explains the Panopticon concept and its place within Bentham’s wider project of delivering happiness through law.